Every donation, whether large or small, contributes to the success of Arts Alive! Top 10 Reasons to Give to Arts Alive! 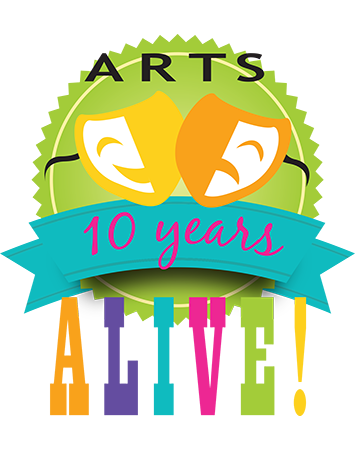 In honor of our 10th season, check out the Top 10 Reasons to Give to Arts Alive! Arts Alive! is a 501 (c)3 charitable organization. If you would like to join us in keeping the arts alive in our schools, please consider making a tax-deductible contribution! Our program fees alone do not cover our operating expenses. Donations are used to help offset the expenses related to scholarships, sound and technical equipment as well as maintaining our storage facility. To ensure that all students have the opportunity to participate in our programs, Arts Alive! offers scholarships to qualifying families. Please feel free to contact us with questions about the application process. At this time we are kindly seeking select items. Please view our Wish List for our current needs.